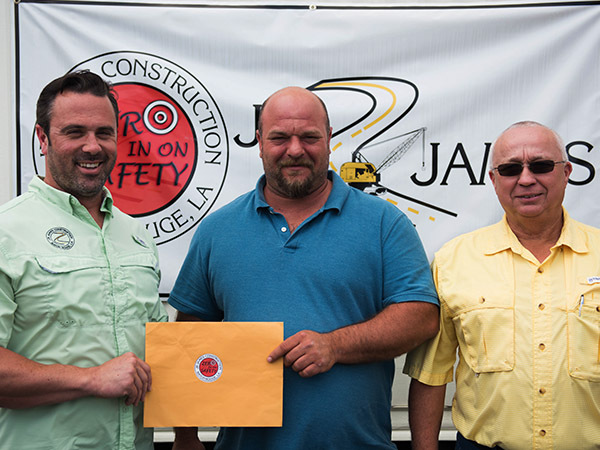 Late last year Ross Noel was promoted from an operator to a foreman and has had 100% commitment from the get-go to ensure the safety of each and every member of his Verot Road project team in Lafayette. Ross will not hesitate to call myself or his supervisors on any subject of which he is unsure, especially if he feels there may be a hazard or potential injury waiting to happen within his team’s work environment. Ross has had his share of hands-on experience - with the first recordable of 2017 happening on his crew. Ross is quick to pick up on anything new and leads his team by setting an example; he elevates his work to the next level with his timely reporting and documentation of his team’s production for safety and operations. Ross continually pushes STOP work authority throughout the work week with all employees, as well as our BBS EYES hazard awareness program to ensure management that he knows the hazards our team members face daily. To award Ross for his safety achievements, he will be this quarters HSE employee and will receive a $500 gift card to Walmart and a JB James hat. I'd like everyone to follow the example Ross has set in his leadership role while we continue to focus on our goal for 2017 of Zeroing in on Safety!